Dean is a commercial lawyer with an expansive practice ranging from all forms of legal transaction right through to large-scale multi-million-dollar corporate litigation, and everything in between. The youngest member of the Baker Love partnership group, Dean brings an energy, determination and enthusiasm to the practice that draws heavily on technical competence, attention to detail, commercial acumen and client satisfaction. 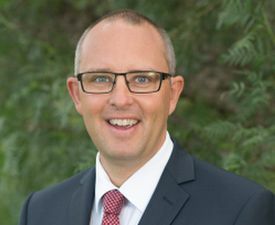 After leaving a career in banking with the Commonwealth Bank of Australia, Dean started his legal career as a law clerk at one of the nation’s leading law firms Allens Arthur Robinson (now known as Allens Linklaters) in Sydney but was drawn back to his hometown of Newcastle to forge his legal career. He is a member of some of the leading commercial law organisations in the nation including the Australian Commercial Lawyers Association and the Australian Restructure and Insolvency Association. He has a particular interest in working with small business clients to assist with all their legal needs whether it be contractual advice, property matters, dispute resolution, debt recovery or corporate governance. In addition, Dean acts on all forms of business sales and purchases, whether it be goodwill and asset sales or share purchases. Dean is a graduate of the ARITA Advanced Certificate in Insolvency and is considered one of the leading insolvency and bankruptcy lawyers in the Hunter Region. He advises insolvency practitioners, creditors (both secured and unsecured), borrowers and other stakeholders in connection with corporate insolvency, restructuring and bankruptcy. Dean has been the legal counsel for a national public company for almost ten years and each year attends at the Annual General Meeting of the company. This appointment has resulted in Dean generating a broad knowledge of corporate governance and Corporations Act issues. 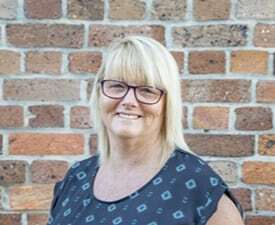 Another key appointment was as the lawyer for one of the nation’s largest and most successful not for profit organisations, that appointment put Dean at the forefront of changes such as the National Disability Insurance Scheme. Dean takes tremendous personal satisfaction from performing what he considers to be one of the most important professions in our society being the practice of law. His father was a small business operator in Newcastle for over 40 years and his mum a registered nurse. He is a born and bred Novocastrian. Dean is extremely proud to be a part-owner of Newcastle’s oldest continuing law practice and is eager to build on the firm’s reputation as a leader in the Hunter’s legal community. Dean’s dedication to his career and the firm, is second only to his dedication to his family. He is the father of two beautiful daughters. He enjoys a cold beer, all forms of music, watching sport and is one day hoping to run a marathon. His ideal day would be an early morning run (often at Newy parkrun, whom the firm sponsors), lunch with his girls at one of Newcastle’s many fine restaurants, an afternoon beer and bet with a couple of the old cricket mates at the pub, followed by watching the Parramatta eels have a win, and closing out the day with a Keith Tulloch red wine on the balcony while listening to a Springsteen album.